What could grad transfer DT Tito Odenigbo bring to Miami Hurricanes? Miami has added a former Illinois defensive tackle as a graduate transfer, according to recruiting websites on both sides of the move. Illinois’ 247Sports site reported (as Miami’s 247Sports site did later) that Tito Odenigbo is on his way to Coral Gables. A UM spokesperson said the school couldn’t confirm those reports. Odenigbo, listed at 6-foot-3 and 290 pounds, started four games at tackle last season and played in 10. He tied for second on the Illini with 4.5 tackles for loss, had 29 tackles, one sack and two pass break-ups. He was a three-star recruit in 2014, and was ranked No. 66 among defensive tackles by ESPN. He played in 27 games, 21 the last two years, with one start in 2016 and four last year. Miami is in need of depth at defensive tackle. The Hurricanes lost starters Kendrick Norton and RJ McIntosh, both of whom skipped their senior years and declared for the NFL Draft. Senior Anthony Moten, a reliable player, graduated. Little-used reserve Ryan Fines transferred. UM gets Gerald Willis, a troubled former blue-chip recruit, back from a year-long absence; he left the team for a stretch last summer because of what the team called personal reasons, returned and worked on UM’s scout team last fall. Given his practice performance — coach Mark Richt called him a “terror” — it would not be a surprise to see the redshirt senior play a primary role in 2018. 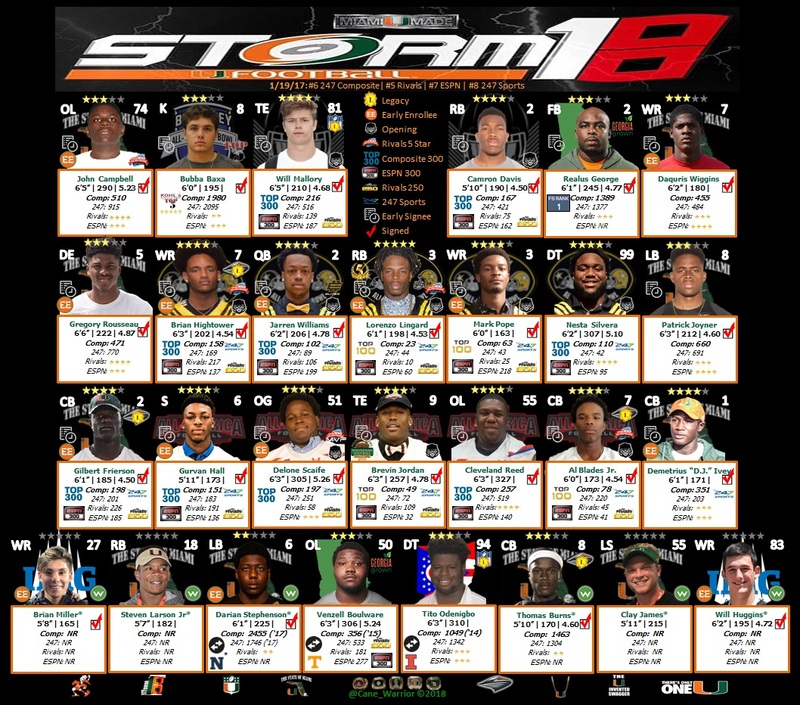 Others pushing for that status include junior Pat Bethel, 6-5, 300-pound sophomore Jon Ford, any freshmen UM signs (four-star Army All-American Nesta Silvera is committed, and the Hurricanes are recruiting four-star Kissimmee-based Dennis Briggs and others), redshirt sophomore Tyreic Martin (yet to make his debut in a game) and of course, the new grad transfer. Odenigbo — first name Otitodilinna — grew up in Centreville, Ohio and was an Illini fan. One of his brothers, Ifeadi, played defensive end for Northwestern and spent time last year on the Minnesota Vikings’ practice squad. He turns 22 in July. His last name is pronounced oh-DEN-uh-bo, according to Illinois. According to a Q&A he did with the Champaign News-Gazette last November, he seems to have some old-school taste in pregame music (or enjoys pulling the wool over reporters’ eyes). 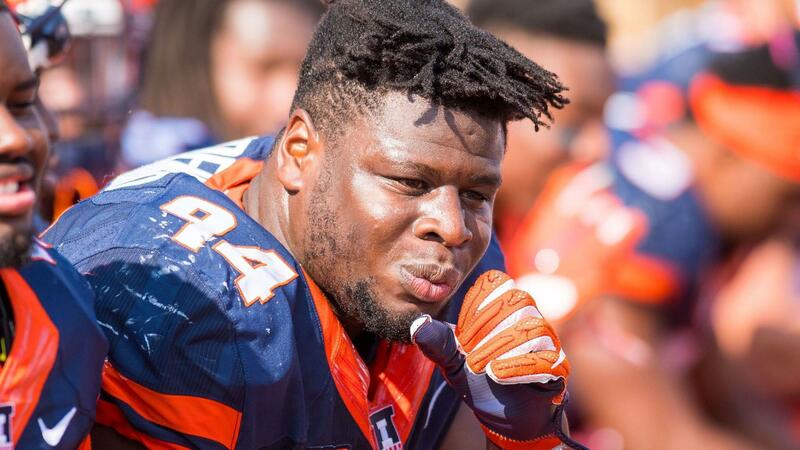 Odenigbo was viewed as a key defensive transfer from Illinois, which finished 2-10 last year. He was ejected from his last game with the Illini for tossing a flag back at a referee.